On no wind days Hood River is a great place to go hiking, golfing, kayaking, mountain biking, white water rafting. Other activities include shopping downtown and the skateboard park within blocks of our Bed and Breakfast. 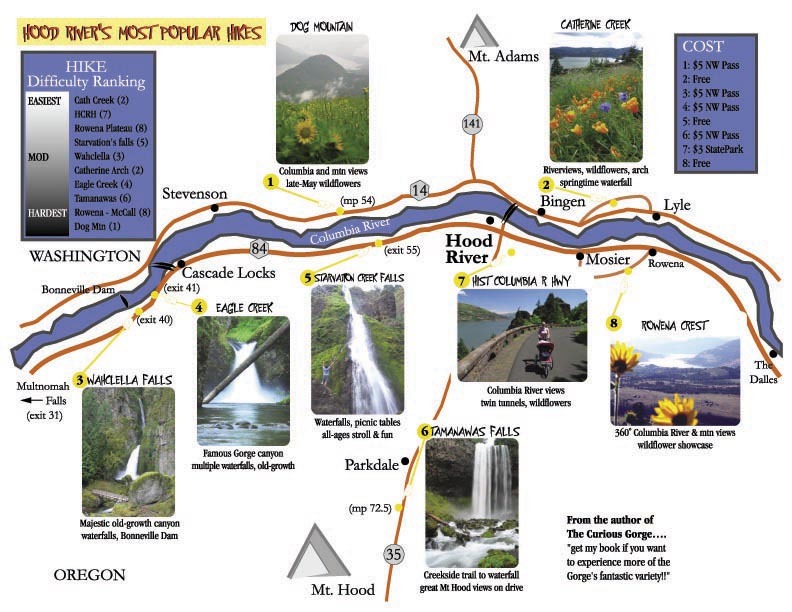 click map for printable pdf file detailing Gorge Activities.